YOUR FILE REPRESENTS YOU – MAKE IT PROFESSIONAL! The competition is tough for a teaching job. Give yourself every chance to be considered for positions. 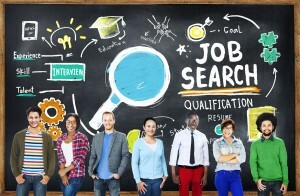 Research shows that employers screen through applications – resumes – credential files quickly at first to see if there is something there to catch their interest. You know the saying, “You only have one chance to make a good first impression”. COVER LETTER should highlight your passion for teaching, your strengths and how you will positively impact your students’ achievement. Do not just repeat your work experiences on your resume. Take time and research examples of cover letters, and customize your letter to reflect YOU and your teaching. Do not just copy a letter you find online. RESUME – make it professional looking, eye-appealing, complete and accurate with no typos.. There are many templates available online or through MSWord software. Double-check it to make sure all formatting is consistent and lines up. TEACHING CERTIFICATE or a Statement of Eligibility for a Provisional or Probationary Certificate, if eligible. REFERENCE LIST – three or more educators who can serve as reference for you. The list should include current and/or former supervisors, colleagues and cooperating teachers from student teaching if a beginning teacher. RECOMMENDATION LETTERS – Three or more recommendation letters from those people on your reference list. If you have additional fairly recent letters or evaluations from educators not on the reference list, you should also include those. ALL COLLEGE TRANSCRIPTS – unofficial is okay, but must be clear and legible. An on-line printout is acceptable if it shows your name, the school’s name, DEGREE AWARDED and all coursework is organized by semester. FILE TYPES: Most schools are now paperless and request credential files be uploaded or emailed as attachments. It is in your best interest to convert your documents to electronic documents. The most commonly accepted documents are MSWord and .PDF files. Making an electronic file is probably easier than you think. If you have your own scanner, you can scan the pages and save them into MSWord or .PDF format. If you do not have a scanner, or yours only makes picture (jpeg) files, you can take your documents to a store such as FedEx/Kinkos, Office Depot, Office Max, Staples, etc, and have them scan the file for you and convert them into .PDF documents saved to a cd or flash drive, or email to you. It is recommended that you save each document individually. Multiple pages documents, such as transcripts should all be in one .PDF document, but BA degree separate from MA degree. All recommendation letters can be combined in one document. You then take the cd/flash drive (or go to your email) and save the .PDF documents on your computer. You can then email the documents to us. You will also have documents that you can upload to on-line applications. The maximum size for each document should be 2MB. If it is larger than 2MB, rescan on a lower resolution setting, or use a Black & White setting, which makes a smaller file than color. DO NOT take a picture – it is not professional and is unacceptable. It is also important to verify that all pages are clear, legible and sharp with no stray marks or lines. Transcripts with colored backgrounds are especially tricky. Sometimes making a copy on a “lighter” setting will eliminate the dark background caused by the color. It is best to upload your documents with the application.